Over a dozen nations including the United States have recognized Juan Guaidó as the legitimate President of Venezuela. Discussing the new leader, however, conservative Venezuelans are divided on whether they can trust the socialist former student leader to enact change. Many on the left have falsely attempted to frame the decision to recognize Guaidó’s legitimacy as an attempt by the United States to install a “right-wing” leader in place of a fraudulently elected left-wing one. In reality, Guaidó is a member of the center-left Popular Will party, a full member party of the Socialist International and one whose primary aim is the re-establishment of democracy rather than radical changes in policy. Guaidó has promised to serve as president only as long as necessary to organize free and fair elections, ones in which the Venezuelan refugee community could also participate in. His first act following his inauguration was to urge the Organization of American States (OAS) to send humanitarian aid to Venezuela, which Maduro had blocked, claiming that any food or medicine sent to the Venezuelan people was a ruse to prompt an American coup d’etat. While Guaidó’s initial moves have been received positively by the free world, some Venezuelans remain concerned that Guaidó is still too ideologically close or sympathetic to the Maduro regime because of his membership, and role in founding, a socialist party. Rafael Valera, the communications director for the right-wing Venezuelan campaign group Rumbo Libertad, expressed concern that politicians like Guaidó would allow Maduro and other senior socialist officials a role in any transition government. 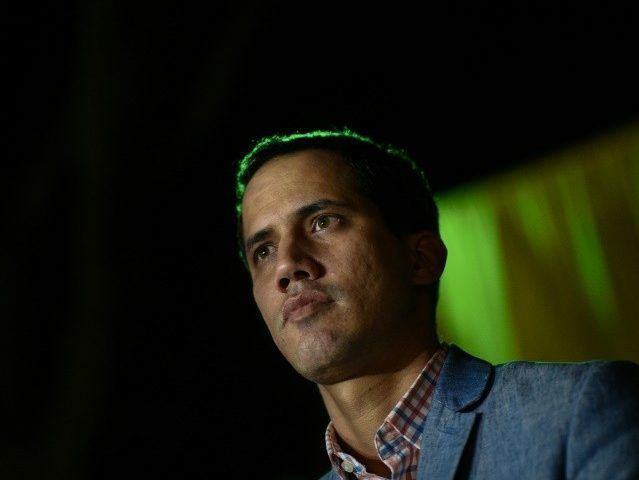 Some who have joined the opposition have expressed more optimism that Guaidó’s leadership will change the future of Venezuela, arguing that his past as a student leader against late dictator Hugo Chávez in what is known in the country as the “2007 generation” makes him a younger, fresher face that more of the country can trust to lead the opposition. Isaias Medina, who represented the Maduro regime as a United Nations diplomat until 2017 and has since defected to the opposition, see in Guaidó a “refreshing” turn for what had lately become a tired and fragmented opposition. “The resurgence of young leadership from the 2007 Venezuelan generation, mainly from international socialist league parties represented in Juan Guaidó and other not so traditional movements like right-wing Rumbo Libertad have refreshed the already exhausted political elites and brought hope back to restore our rule of law, justice, democracy and freedom,” Medina said. Former Governor of Caracas and U.N. Security Council president Diego Arria agreed. Armando Armas, another founding member of Popular Will and elected lawmaker in Venezuela’s National Assembly, added that Guaidó is a “very rational” person who would prioritize doing right by his country.